I'm on an Okinawan diet! Here are the 5 foods that I've been eating the most. Are you ready to start eating like an Okinawan? You are going to need this food list. 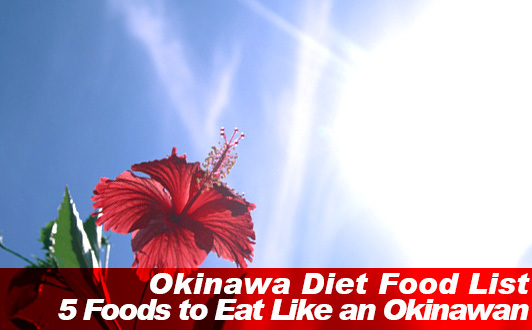 What better way to describe the Okinawan diet than with a list of foods in the Okinawa diet. Here you fill find just what you need to eat like an Okinawan. Burn more fat with Mozuku fucoxanthin and goya. Eat a luffa. Take on Okinawan tofu and soba noodles. 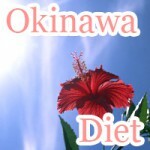 Make the Okinawa diet yours! Although there are many food making up the Okinawan diet, to name a few there are: mozuku, goya, soba, tofu, and luffa that you will find used to make a majority of traditional Japanese dishes eaten by people living in the islands surrounding Okinawa, Japan. If you have any suggestion please feel free to tweet it by. Mozuku is a type of edible seaweed eaten all throughout Japan especially in the area surrounding the island of Okinawa where Japan gets most of its Mozuku; over two thousand metric tons are produced each year. 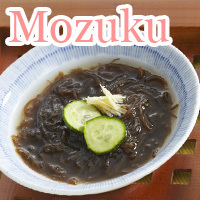 Okinawan mozuku is an amazingly low-calorie food. There are only 4 Calories in Okinawan Mozuku per 100g serving size. Mozuku fucoxanthin helps you burn belly fat. How fucoxanthin in mozuku works is that it burns away visceral fat keeping your internal organs in place as well as showing up in the form of a beer belly. In a study by Hokkaido University (Hokudai) the seaweed carotenoid fucoxanthin was shown to be a multi-functional nutrient. Hokudai found that rats fed fucoxanthin had lower levels abdominal white adipose tissue than rats and mice not fed with fucoxanthin. Findings of further investigation of mozuku fucoxanthin found that mice fed fucoxanthin experienced increased activity levels of uncoupling protein 1, which goes by the name UCP1. Increased UCP1 activity is linked to the burning of white fat and heat production using fat as energy. In conclusion Hokudai stated that fucoxanthin may help prevent metabolic syndrome. 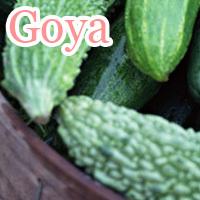 Goya as it is called in Japanese is a good example of foods incorporating into the Okinawan diet. Although this vegetable may not be eaten raw due to the bitter taste it has, it makes a great complement to tea and many Okinawan-style stir fry dishes. The goya diet or bitter melon diet as it may be called includes three ways to incorporate goya in your diet so you can start eating like a native Okinawan. Eating goya raw may be the best way to get fat burning goya nutrition consuming directly. However, for most people this isn't going to work because of the sheer bitterness that would be involved in eating raw goya. Alternatives to eating goya raw include goya supplements and drinking goya tea. No matter how you look at it, you still get goya nutrition to help you burn fat. The reason why goya is considered one of the best fat burning foods alongside ginger, chili peppers, and coffee out there is due to its high conjugated linoleic acid content. 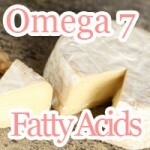 Conjugated linoleic acid (CLA) in goya is said to prevent the increase of unwanted body fat. Studies on the effects of increased dietary intake of conjugated linoleic acid show that CLA may help you decrease body fat increasing lean body mass. Results suggest supplemental CLA may help reduce body fat in overweight adults that are healthy in the long term. One way to supplement you diet with natural CLA is drinking goya tea. Drinking tea made with goya is an excellent choice if you are looking to raise your core body temperature while burning fat faster with linoleic acid in goya. Anyone who has ever thought about trying out the Japanese diet knows what soba noodles are. So what if you don't? - Don't worry all soba are noodles made with buckwheat. Unlike traditional Japanese soba noodles eaten in other parts of Japan, Okinawan soba is noticeably thicker resembling Udon noodled eaten in a ramen-like manner. Since most Okinawa dishes have something to do with eating pork, as you would expect Okinawa soba is a pork dish. With 147 Calories in Okinawa Soba per 100g serving size, it may not be as low in calories as traditional soba noodles (114Cal/100g). 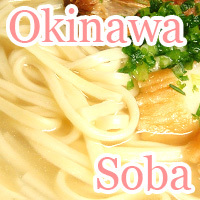 However, Okinawan soba still is part of the Okinawa diet which deserves to be mentioned. You don't have to be able to read, write, and speak Japanese to know what tofu is. After all it's just tofu, right? Before finding out about Okinawan tofu that's what I thought. I could never be more wrong. Okinawan tofu is considerably harder and sold in larger sizes than regular tofu. It is the preferred ingredients for making the Okinawan stir fry dish Chanpuru. One characteristic of Okinawan tofu to note is that even after being cooked, boiled, and battered it remains intact. There are 106 Calories in Okinawa Tofu per 100g serving size. This amount is higher than firm tofu. 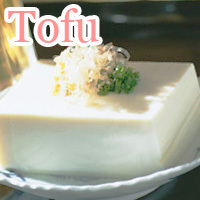 However, Okinawan tofu makes for the slight increase in calories in added nutrition. The luffa sometimes called Nebera is not only found in Okinawa. However, due to the amount of time it requires to mature, it can only be grown in areas of similar climates allowing for natural vegetation such as Vietnam and the Philippines. Similar to the way goya is used in traditional Okinawan cuisine, luffa can be found in a variety of side dishes including tempura and miso based dishes. It particular it goes well with Okinawan tofu. There are only 16 Calories in Luffa making it a low calorie food. 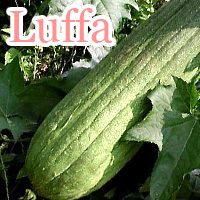 Luffa is a good source of folate and vitamin K.
Foods low in calories with excellent nutrition is hard to find, but luckily enough Japanese Mozuku has got it not to mention all the Fucoxanthin you need to get thin. With the health benefits of Okinawa goya the sky is the limit when you are on the bitter melon diet. An easy way to mix up your balanced diet routine. Japanese buckwheat noodles (soba) is a low-calorie alternative to contemporary noodles that if continued eating can help you lose weight and get the slim body line that you always dreamed of getting. How else are women in Japan pulling it off? Read how. What’s in your low calorie diet grocery shopping food list? Surely you aren’t thinking about going out without it. Health food emporium at your fingertips.